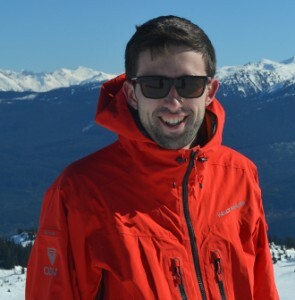 Our first student in the spotlight is Matthew Wagstaff, an MSc-OEH (Occupational and Environmental Health) student in the UBC School of Population and Public Health (SPPH). What is your academic and/or professional background? I graduated with a BSc from the UBC Combined Major in Science program in 2014 and worked in a number of diverse research assistant positions at UBC to gain academic experience during my undergrad. I first spent my Co-op terms working in Atmospheric Chemistry studying ice nucleation before working on a research program looking into the effects of a wood stove exchange program in Northern BC for the Occupational and Environmental Health division of SPPH, and finally studying spatial and temporal patterns with regards to coral bleaching in the central Pacific with the Geography department. At this stage in my career, my research interests are still very broad and I would like to be involved in everything! However I am mainly interested in identifying and quantifying environmental exposures and their impacts on surrounding communities. How did you become interested in environmental/occupational health research? I was first exposed to the field of environmental/occupational health research when I worked as a research assistant with the Occupational and Environmental Health division of SPPH in the summer of 2013. During this period I worked on a research project studying spatial and temporal patterns of PM2.5 in Quesnel and Smithers and looking into the effectiveness of a wood stove exchange program that had been implemented. I was fortunate enough to be given the responsibility of performing the mobile monitoring project with minimal support in the two cities. As I greatly enjoyed the position and found the other research going on around the program to be fascinating, I decided to come back and join the MSc-OEH program. What role do you believe networking plays in career development? I believe networking plays a crucial role in career development as, especially in small fields such as this, you will discover the majority of positions and opportunities available through contacts – as they may never be posted publicly. Networking in the way of discussing issues with peers in your field of research I feel is also invaluable in bringing fresh eyes to a problem and providing an interdisciplinary approach. I am inspired by people who stand up for what they believe is right and ask questions rather than simply accepting what they are told. People who are passionate about their field of research also remind us to take a step back every now and again to look at the bigger picture to remember why we are involved in our fields. What would you like to do in your career? At this point, I don’t know exactly what I would like to do in my future career. I know that I’d like to work with environmental research, regulation and policy and know this is a varied field with lots of different opportunities which I’m looking forward to exploring. This entry was posted in spotlight on October 23, 2015 by kemclean.